I couldn't be prouder of creating these two characters, and the curriculum through which they guide the very young. 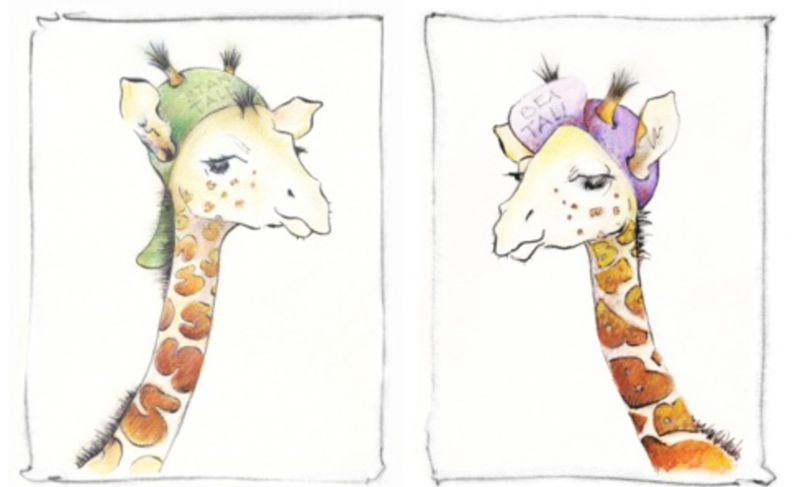 Stanley and Beatrice Tall are twin giraffes who are about third-graders themselves so they can talk easily with the littles. If you're a K-2 teacher or the parent of a very young child, do have a look at what Stan & Bea have on offer for you. It's all free of course. 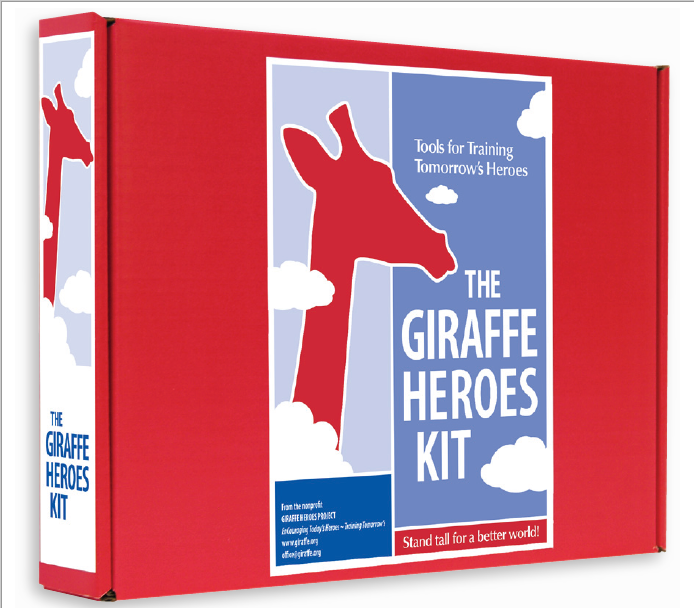 A box full of materials that can take you through leading a group of kids to Giraffeness, in school, in an afterschool club, or in the neighborhood. It's lively, full of games and activities, while tracking the basic learning track of all our materials: Hear the story, Tell the story, BE the story. The Kit costs us money to make and send so we can't give it away. But if you're a teacher, you can probably get a grant from a local service group to make the purchase. I had a ball writing it, especially the guide, and the deck of hero trading cards that's in the box. 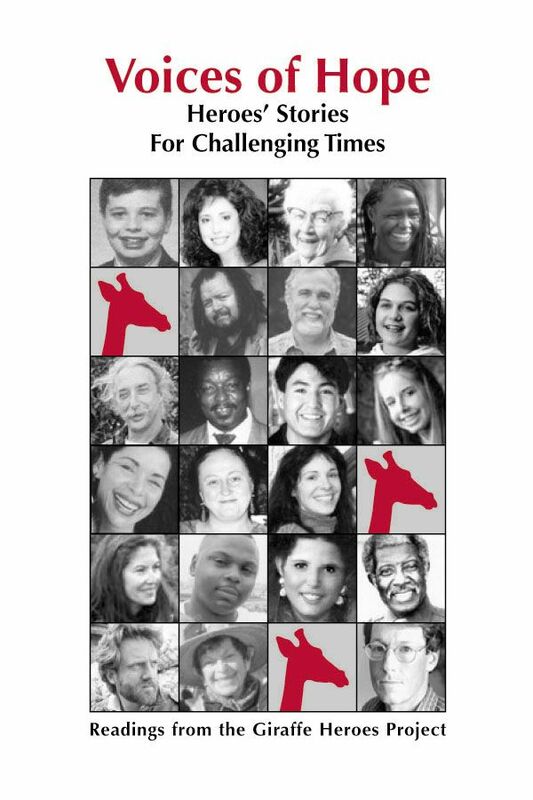 This one's a collaboration, profiles of Giraffe Heroes by contract writers, study questions by me, and a teaching guide by John Graham. It's especially fine if you're working with kids who are having a hard time with reading – most literacy materials are too boring to inspire kids' effort. This isn't boring. Have a look. Because it's on paper and has the attendant costs of printing and shipping, it's not free. But read the reactions here from teachers using it: https://www.giraffe.org/resources/teaching-materials/heroes-literacy. I think their feedback will let you know it's worth buying. Check with local service clubs for a grant, if your school can't fund your purchase. Helping kids read, and helping them be responsible citizens is appealing to service clubs.